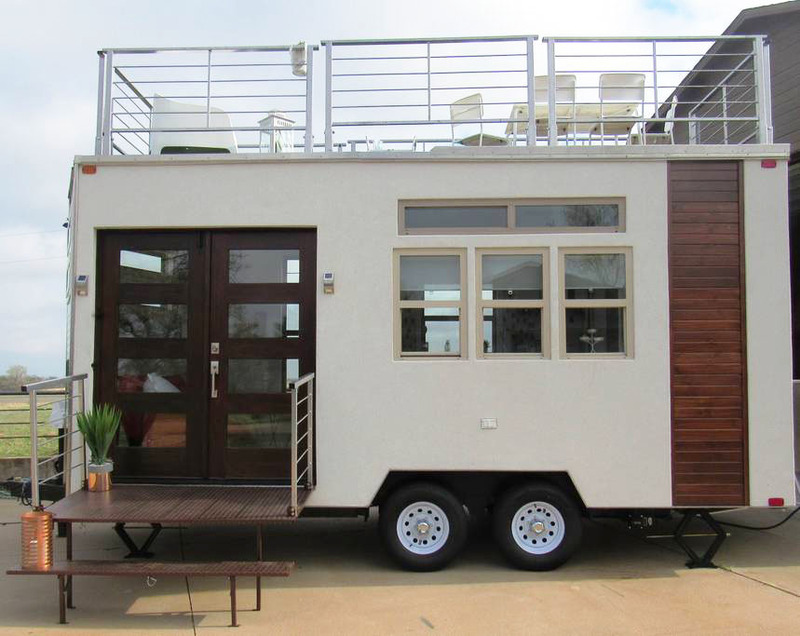 Experience lifestyle on wheels in “Audrey Faye”, a 152 square foot tiny house travel trailer with stylish decor and outdoor living space. 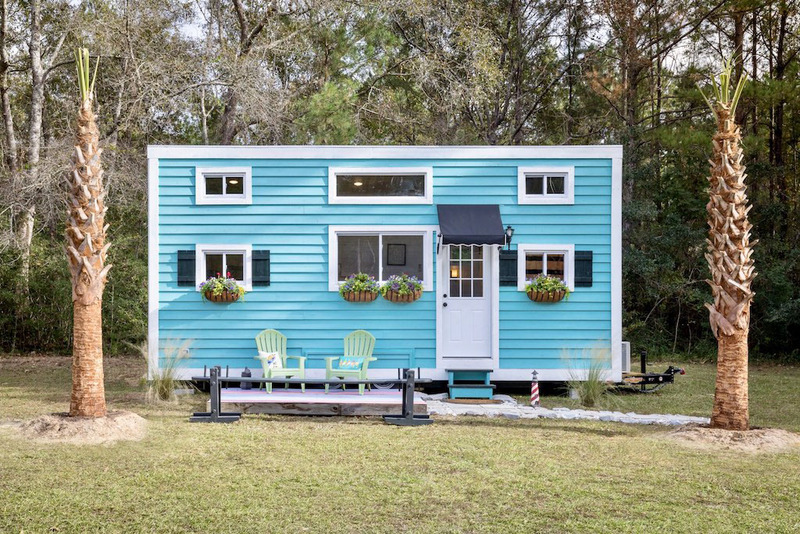 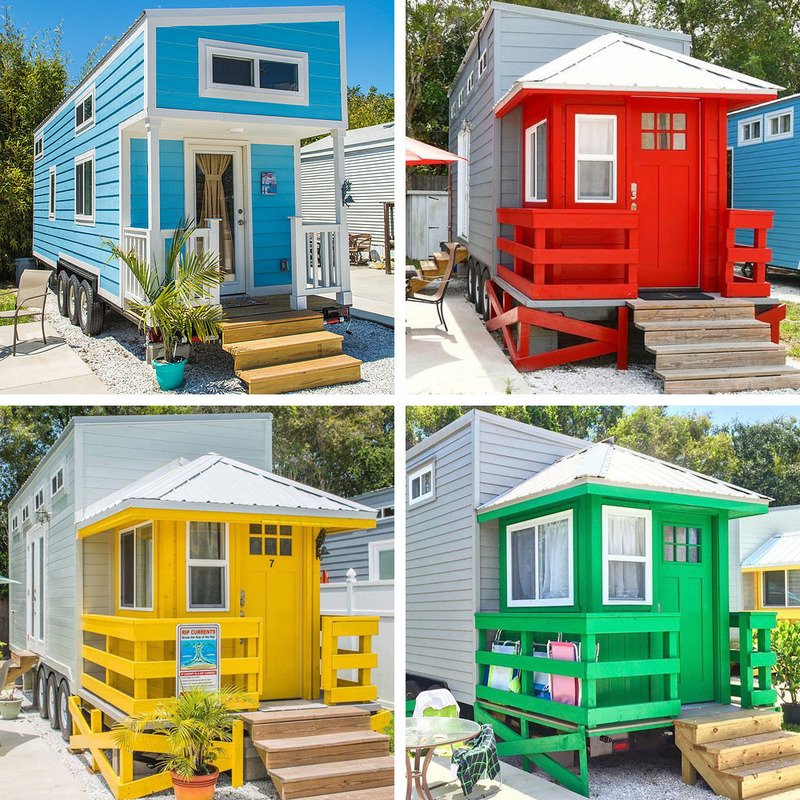 This tiny house in Charleston, South Carolina has a classic southern inspired exterior cedar plank siding painted in soft blue with white trim, and features window flower boxes. 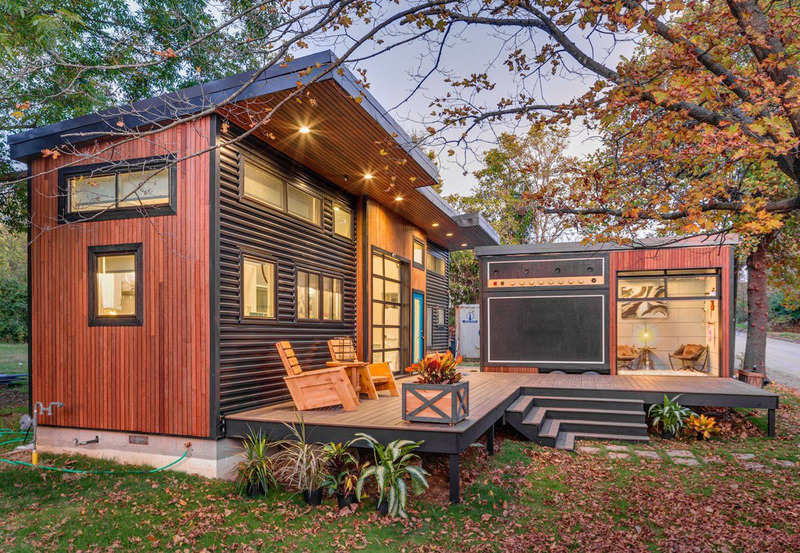 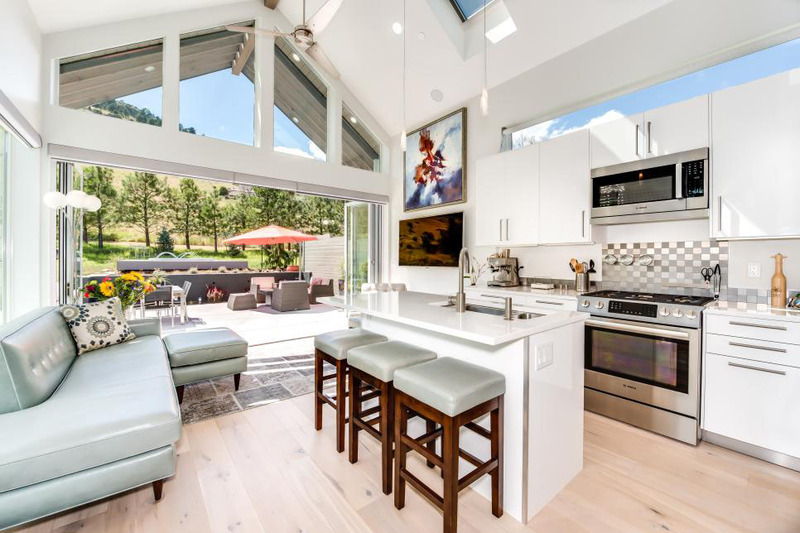 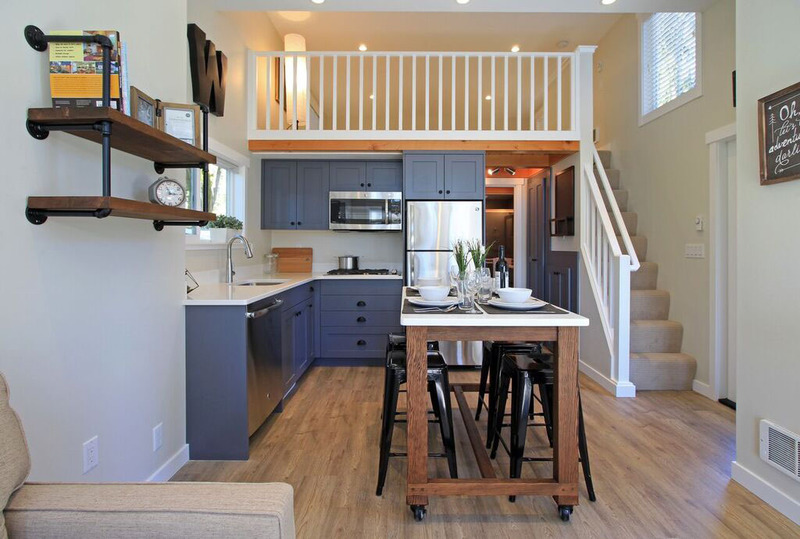 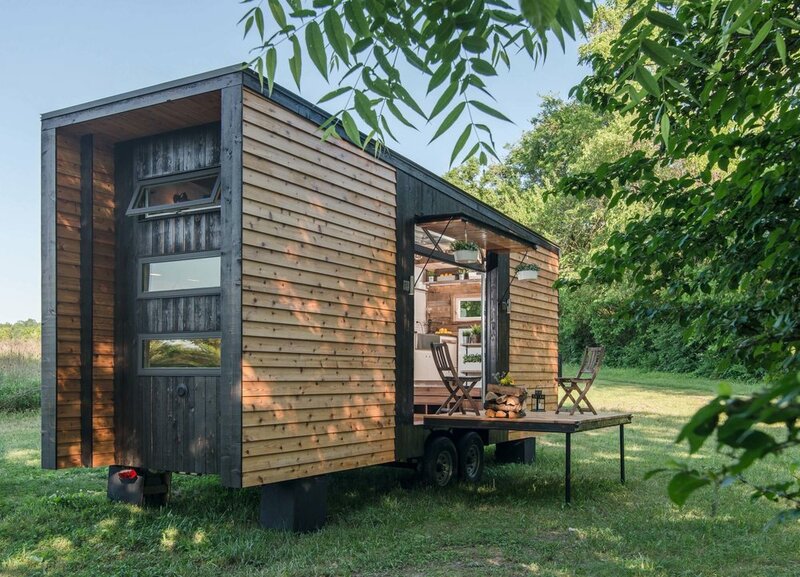 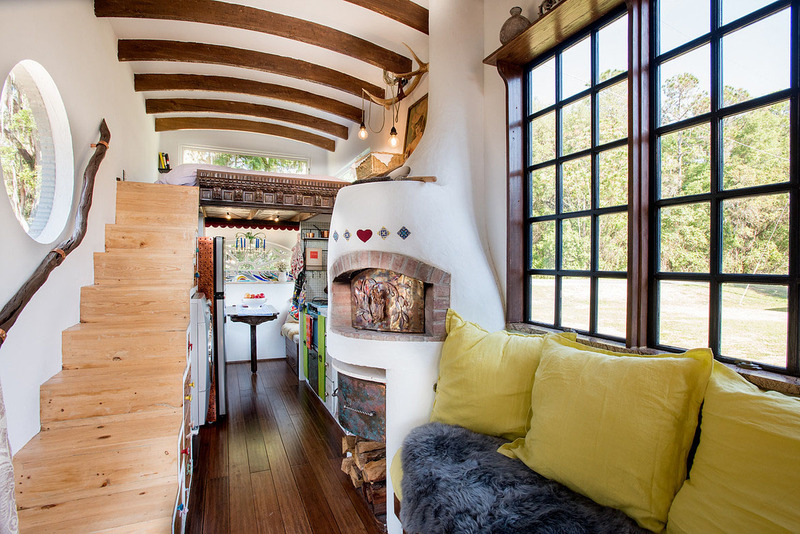 The Alpha Tiny House is a functional tiny home on wheels with sliding overhead glass door and flexible living area.